Barangay Road Construction Nikon D 70 Photo by Samuel E. Warren Jr. 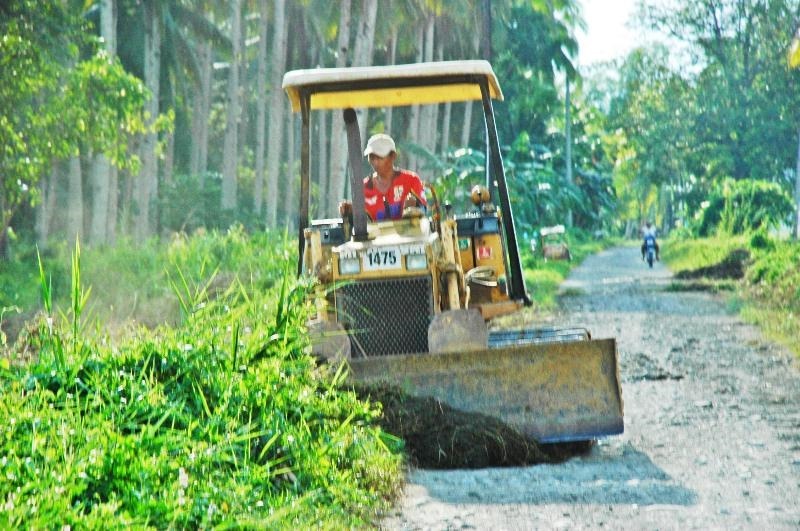 The late afternoon of December 10, 2012, this bulldozer widens the barangay road through Cameri. 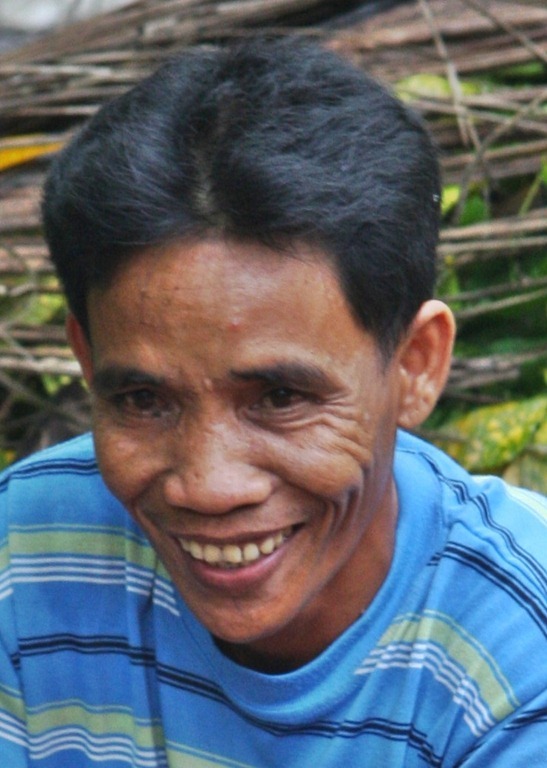 The barangay of farmers base their living on a few head of livestock like hogs, chickens, hair goats, and caribous as well as the money earned on coconut crops and the rice fields. The farm road is an important link to the highway to Tanauan and Tacloban City, on the eastern visayas’ island of Leyte, Republic of the Philippines. This photograph was taken from a tricycle moving past the bulldozer using a Nikon D 70 camera. Nikon D 70 Photo by Samuel E. Warren Jr.
My brother-in-law, Rafael Saldana, is a rice farmer in Barangay Baras, Tanauan, Leyte, Philippines. 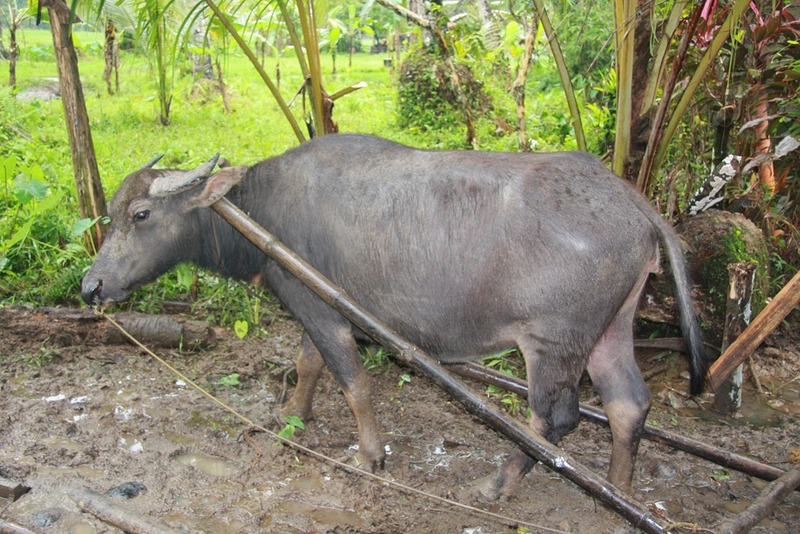 In rural Leyte, the beast of burden is the caribou. A caribou is an bovine animal in Asia that combines the best features of farm pickups and tractors. While farmers in the United States may own a Case, New Holland, Ford, White, Allis Chambers, Kubota or John Deere tractor, rural Filipino farmers can rely on the plentiful and much less expensive caribou to get the job done. The land in front of the house is covered with the traditional thick tropical vegetation. 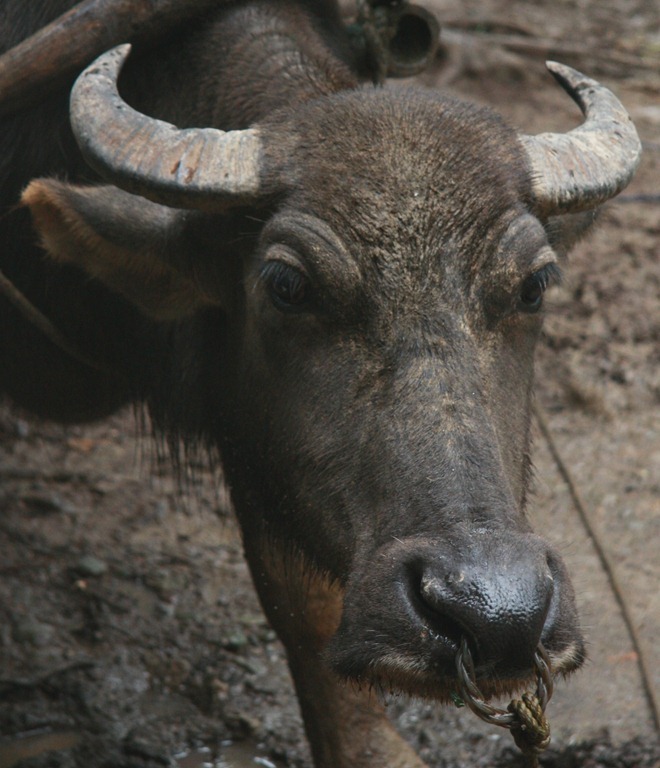 Unfortunately, during the monsoon season, it becomes obvious that the soil under the plants is . . .mud. And, that mud is effective in pulling the rubber boots and shoes right off your feet and leaving you standing almost knee deep in mud. The caribou stands ready to move more scrap coconut tree lumber into place. The quick fix landscape solution became some way to cover over the mud. Commercial landscapers in the United States would have a variety of heavy duty power equipment like the Bobcat and Ditch Witch bulldozers ready to tackle the problem. In rural Leyte, my wife, Christy and I have. . . Rafael’s Caribou. Neptali “Endoy” Abano readies the caribou to get another load of coconut tree scrap lumber. Photo by Samuel E. Warren Jr. 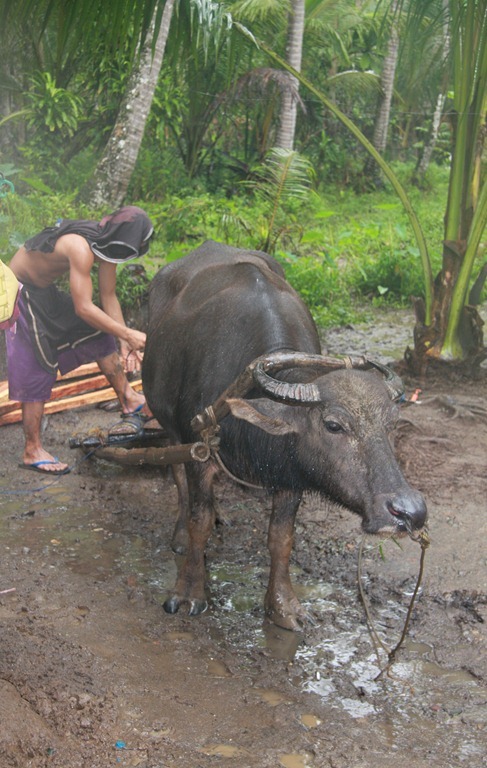 Thus, Neptali “Endoy” Abano hooked up Rafael’s Caribou to the yoke and the bamboo drag to bring more scrap coconut lumber into the yard to place over the growing mud swamp. While the trail could probably stand a few more pieces of scrap lumber, for now, you can walk into the yard, rather, than wade into the yard – Thanks to Rafael’s Caribou.